If you were waiting for a price drop on the iPhone now is the time to buy it. 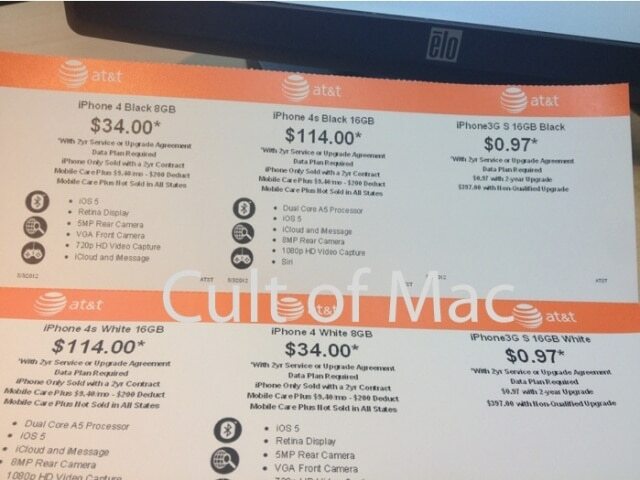 Walmart has quietly dropped the price of the AT&T iPhone 4 and iPhone 4S by $54 and $74, as noticed by CultofMac. AT&T iPhone 4 8GB in black and white are now being sold for $34. The 16GB iPhone 4S price has been reduced from $188 to $144. This prices only applies for new customers activation and upgrades.